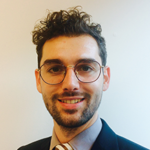 Daniel volunteers with Young Humanists, and serves on the executive team as Communications Manager. He's also the Communications Manager for INFO ActionAid UK, and has previously worked as a teacher and for Amnesty International. Daniel volunteers with Young Humanists, and serves on the executive team as Communications Manager. He works in the schools team at ActionAid UK, and has previously worked as a teacher and for Amnesty International. Young Humanists is the section of the BHA specifically for humanists aged 18-35. It runs a regular Twitter debate once a month using the hashtag #YHDebate. March’s debate took the form of an ‘ask me anything’ (AMA) with Imtiaz Shams, a BHA trustee who is also the co-founder of Faith to Faithless, which provides support and advice to people who experience discrimination, rejection, or abuse when leaving religion. Below are a selection of the best questions from a number of young humanists and others in the general public. You can click on any tweet to see Imtiaz’s response. #YHDebate @imtishams is there anything that atheists/humanists do that's unhelpful or might put apostates off joining their community? #yhdebate @imtishams what is the best thing humanists (who may never have been religious) can do to reach out to apostates? #yhdebate @imtishams is there anything you miss about being part of a religious community? #YHDebate @imtishams would you ever tell a friend not to come out b/c he'd risk his life. For example in Syria? Make sure you join in for the next #YHDebate on twitter on 19 April, which will be on Humanism and conservatism (ooh).